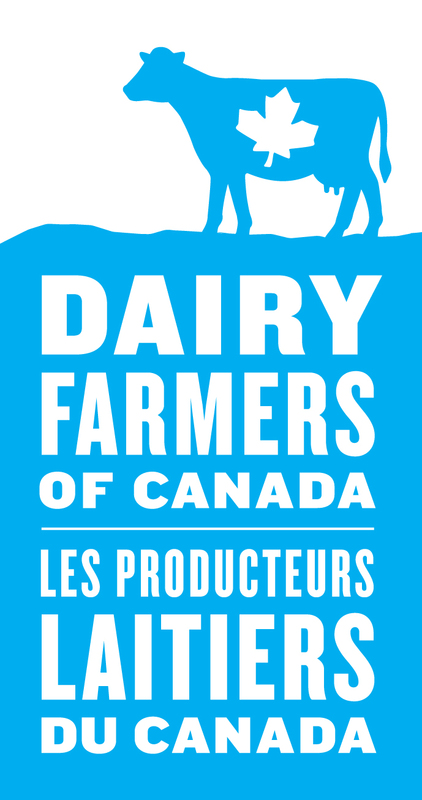 Have a question about Canada's Dairy Sector? Milk products are an important portion of a healthy lifestyle and a nutritious diet. They contain up to 16 essential nutrients and several studies have shown that they may contribute to reducing the risk of certain diseases or conditions, such as obesity, type 2 diabetes, hypertension, osteoporosis and colorectal cancer. Should Canada follow the examples of deregulated jurisdictions such as Australia and the European Union? All recent evidence demonstrates that deregulation in Australia and the EU has had devastating effects on their dairy industries. Recently, the Australian government announced a $578.8 million support package for dairy farmers, in response to plummeting world prices. In the EU, since the end of quota, the European Commission announced its second bailout package for dairy farmers (bringing the total package to 1 Billion Euros in aid between September 2015 – June 2016). Included in this package, in an attempt to slow the overproduction that is devastating the global dairy market, is €150 million to entice less efficient farmers to voluntarily reduce their milk production (in other words, a supply management measure!). All of this comes in addition to an already generous Common Agriculture Policy that provides more than €50 Billion in support to the European agricultural sector. In Canada, supply management allows us to obtain a fair return for our products – directly from the market. Does supply management stifle innovation? Canadian dairy farmers have been able to invest millions into their farms, and into numerous research projects over the years. These investments have contributed to milk yield increases of more than 130% over the past 40 years - outpacing the U.S. (+116%), United Kingdom (+91%), and New Zealand (+49%) over that same timeframe. Furthermore, the Canadian dairy industry is known as a world leader in yield per cow, dairy genetics, and dairy genetic material trades. Recently, the industry publically launched an on-farm sustainability program called proAction to foster even more innovation and improvement. As a result of these efforts, the Canadian dairy industry, on our own initiative, is unparalleled in the quality and safety standards that are rigorously set and adhered to by all our farmers. None of this would be possible without relative stability offered by supply management. Would the ability to export create additional economic opportunity for Canadian dairy farmers by allowing them to sell in growing global food markets? The fact is, dairy is not a major export commodity. Currently, only 9% of all global milk production is exported, and the market is saturated with countries such as New Zealand, who are at a competitive advantage due to lower costs of production – costs that even New Zealand farmers can’t cover at current world prices. Canada can play a role in the global niche export market, but is at a natural competitive disadvantage compared to warmer countries due to the high costs of production related to our climate. Furthermore, unlike dairy farmers in other global jurisdictions which are often heavily subsidized, Canadian dairy farmers do not receive any government subsidies – this creates an un-level playing field in the export market. Canadian dairy farmers have instead chosen to focus on serving the domestic market for a fair return. Is it possible for newcomers to enter the dairy market under the current system? Yes. Every province in Canada has a new entrant program to facilitate entry into the industry – and a number have made improvements to their programs, based on feedback from participants. Right now, the new entrant programs either loan or allocate quota to new farmers, which enables them to benefit from the income of selling extra milk, without paying for that additional quota. In fact, more young farmers are entering into the dairy industry because of the predictability and stability offered by supply management, not in spite of it. Is supply management a barrier to international trade? All countries have sensitive sectors they wish to protect. The U.S., for example, has a long history of restrictive import protection in the sugar and dairy industries; Japan has a long history of heavy protectionism in the rice sector; and New Zealand has always vigorously defended its pharmaceutical program. Furthermore, Supply management has never prevented Canada from entering into an international trade deal. Since 1994, Canada has negotiated 13 trade agreements with 53 countries while maintaining supply management (including CETA and TPP. Is milk is more expensive in Canada than elsewhere? In Canada, retail prices for milk are in line with those in other jurisdictions. A Nielson study showed that during 2014, consumers paid an average of $1.47/litre for fresh milk in Canada, as compared with $1.83 in New Zealand, $1.81 in France, $1.15 in the U.S., $1.19 in Germany, and $2.35 in China. In fact, a more recent Nielson study ending on May 30th, 2015 also showed that, when comparing apples to apples, which means hormone free (rBST free) milk in the US against Canadian milk (where rBST is illegal), Canadian milk costs only $1.47/ litre versus $1.63/litre for a similar product in the U.S.. Additionally, two other things to keep in mind: With respect to prices in the U.S., as anyone who has ever done any cross-border shopping knows, most products are slightly more expensive in Canada than they are in the U.S.. In fact, many reports have suggested that the average product is more expensive in Canada than it is in the U.S. (as much as 27% more expensive in 2011); it should therefore come as no surprise that milk is slightly more expensive here in Canada. More importantly, countries without supply management typically heavily subsidize their dairy industries; this comes straight out of the pockets of taxpayers, and essentially forces taxpayers from those countries to pay twice for their milk. Furthermore, if we look at the latest evolution of the Canadian consumer price index (CPI), the CPI increase of dairy products is well below the increase of all other food commodities. Would the price of milk would go down if we eliminated supply management in Canada? It is unlikely the price of milk would go down if we eliminated supply management in Canada. The truth is, there is no direct link between the price a farmer receives, and the retail price. Producers are at the beginning of the value chain, processors are in the middle, and retailers are at the end – retailers have always set the retail price themselves. As an example, in 2014, although the price that farmers receive for their milk went down significantly, the retail prices for dairy products went up by 1%. Furthermore, in countries where milk production isn’t regulated (ie supply management doesn’t exist), such as New Zealand, the United Kingdom and Australia, there has been a notable discrepancy between farm gate prices and retail prices. In many cases, prices have actually gone up for consumers, while revenue for farmers has gone down. Finally, in deregulated countries, consumers pay twice for their milk: at the store, and with their taxes (through government subsidies). Canadian dairy farmers derive their income solely from the market. Does Canada close its doors to dairy imports? An estimated 8% to 10% (some estimates suggest it may even be as high as 15%) of the Canadian dairy market is already open to imports. This does not take into account the additional 1.5 to 2% of market access for European cheese that Canada granted in the Comprehensive European Trade Agreement (CETA) deal, or the additional 3.4-4% of market access that Canada agreed to during the recently concluded Trans Pacific Partnership (TPP) negotiations. The bottom line is that Canadian imports of dairy products are already substantial, and will rise significantly over the next few years. To say that we’re a closed market is simply not true.